I absolutely love homemade (or house made at a restaurant) pickles. There is nothing better than a cripsy dill pickle on a sandwich or burger. So delicious! A few years ago I made these cold crock pickles and they were so easy I couldn’t believe it. Not only where they easy, they were delicious! Remember you need pickling cucumbers to make these pickles. Pickling cucumbers are shorter with thinner skins and usually have bumps on them. Salad cucumbers are longer and have tougher skins. 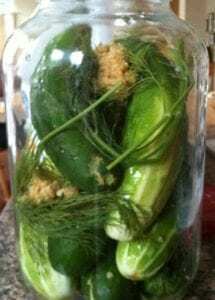 These homemade cold crock pickles are easy to make and delicious! Heat the water, salt, and vinegar and vinegar until it comes to a boil. Remove from the heat and allow to cool for 7 minutes. Layer garlic, dill, and cucumbers in a large crock (I use a giant mason jar). Pour liquid over the cucumbers. Let cool another 10 minutes. Loosely cover the top of the crock. Store in refrigerator for one week. This is how simple it is, layer your cucumbers, garlic, and dill. 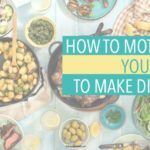 This is a fun cooking project for the kids too! I’ve tried a few other pickle recipes and they called for too many ingredients or made it much harder than it needed to be. This cold crock recipe is really the simplest one I’ve tried and the best. You’ll never go back to store bought dills after you try this! See all of The Happy Housewife’s recipes here! Yummy! My MIL makes some refrigerator pickles very similar to those and they are the best!!! I had no idea it was so easy to make pickles! And I never would have thought of adding my own cucumbers to the leftover juice. I love Claussen pickles but they are kind of expensive. I’m going to try add cucumbers to the juice and see how it works. Thanks for the idea! I agree Tiffany, I love Claussen pickles too, but they are so expensive. I am glad I found a cheaper (and better tasting, imo) option. That looks yummy…I’ll have to try to make my own too. I am a HUGE pickle lover (and I share your love for pb & pickle sandwiches…had one just this week). we made our own pickles this year as well. It has worked out great and so much better than store bought. The recipe looks great–but we have a family of 5 and a small fridge–no room for a big crock. Do you have any idea how to pare it down to say, the size of a large Claussen jar, or maybe 2? I could fit a couple of those in my fridge door, but shelf space is awfully tight on the big shelves….and I wouldn’t mind making pickles once or twice a week, it sounds very easy! I would just use smaller jars and smaller cucumbers, or slice the cucumbers before you put them in the jar. I LOVE pickles! The big giant dill deli pickles are my favorite. I used to dip pickles in sour cream, which apparently grossed other people out, I haven’t done it in a decade though. The cucumbers in the juice is a good idea…I think I might try that (it sounds so easy)! Toni, it was the recipe for the brine I wanted to cut down. It didn’t seem quite right to make over 3 quarts of brine to fill one or two (relatively) small jars. Whoops! Sorry about that, I am on headache medicine today and am not 100%. I guess you could 1/2 it or even reduce to 1/4. I didn’t even use all the brine for my big jar. I thought I was the only one who loved pickle and peanut butter! Everyone always looks at me like i’ve grown a second head or something. This looks delicious! You’ll never go back now. Jusy so you know – I’m going out to the kitchen to make a pb and pickle sandwich right this instant. Wow- I am really shocked at how many people eat pb and pickle sandwiches. I thought I was the only one!!! Mmmm. These look so good. I have a really similar recipe only we slice the cucumbers to make homemade pickle chips. I love pickles, though. And that jar looks so pretty that it could be a gift. I love the idea of cutting up cukes to fill up your pickle jar when you’re out of store-boughts. Can you use this recipe for pickled onions? I had those once in Brazil and I loved them I have always wanted to make them but didn’t know how. Wait-where is that Sun Dill recipe? With temps in the 100s for at least another 7 days here in Texas, I have time!! That being said-I may try this as well…oh and cutting cucumbers in the pickle juice-SMART! Just a suggestion: cutting 1/16″ off the blossom end of the pickles will help keep the pickles a bit crisper. 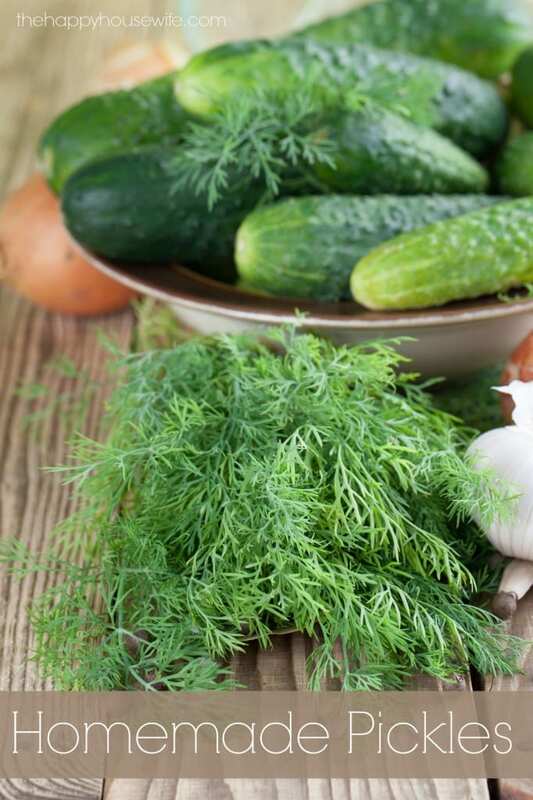 Looks like this recipe would make some tasty pickles! i have a bumper crop of burpless this year..will definitely try adding to old pickle juice..what a great idea if it works..calling my kids telling them not to throw out the juice!!!!!! I like your site very much. I liked this pickle recipe. But I have one question you have put a whole cucumber then while eating how we will eat the pickle. This a really new recipe for me. I like pickles but I have never heard of this pickle before. Pls tell me after how many days of preparation of the pickle we can eat it and do u cut the cucumber into slices or pieces. And for how many days does this pickle stay. I have been throwing extra cukes in leftover pickle jars for awhile. Awesome! And coincidentally, I just made real pickles yesterday! I need to echo Smita – how long before you can eat them. Looks like they keep up to a week, but how soon are they ready to eat for best results? And how many cukes did you use? Can you tell me how many cucumbers to use? The ingredients don’t list cucumbers.